Shop our nature inspired jewelry and housewares, generated by simulation and fabricated by computer-controlled machines. 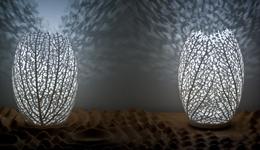 Kinematics is a system for designing and simulating flexible structures for 3D printing. 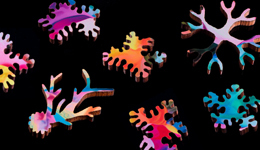 Kinematics generates customized designs composed of 10s to thousands of hinged, interlocking modules. 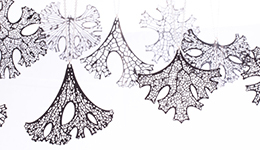 The designs are computationally folded using rigid-body physics into a smaller form for fabrication by 3D printing. 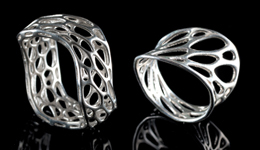 Our web-based apps enable anyone to design their own 3D printable jewelry. We create design software and web-applications based on scientific theories of pattern formation. The exhibition "Growing Objects" explored our work with simulations of natural growth processes through 3D printed sculpture. Nervous System is a generative design studio that works at the intersection of science, art, and technology. Drawing inspiration from natural phenomena, we create computer simulations to generate designs and use digital fabrication to realize products.